Clear Mountain is a suburb located to the north west of central Brisbane. An easy commute to Brisbane and all that it has to offer, Clear Mountain is a small and friendly countryside town with picturesque surroundings. An ideal base to explore the famous attractions of Brisbane, including Fortitude Valley to Southpoint and Hawthorne. The entertaining South Bank is best viewed by walking or cycling and similarly, Mt Coot-tha is just a 15 minute drive from the city, and boasts over 1500ha of natural parkland. Art enthusiasts should earmark GoMA, Australia’s largest gallery of modern and contemporary art, and the Queensland Art Gallery that proudly showcases a balance of both Australian and International artists. 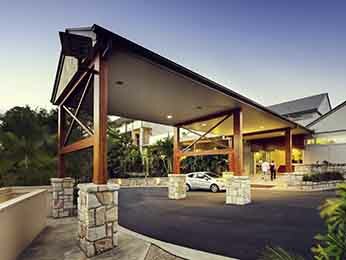 Feel welcome at one of the hotels offered by AccorHotels and our partners in Clear Mountain. Discover our selection of luxury to budget hotels in Clear Mountain for your next business trip, family holiday or weekend break.